Jaycee is an indie developer currently working on A Duel Hand Disaster: Trackher for Xbox One, PS4, Steam, and Nintendo Switch. His personal motto is “Make Games Not Excuses.” His indie studio is called Ask An Enemy Studios. Follow Jaycee on Twitter: @askanenemy. 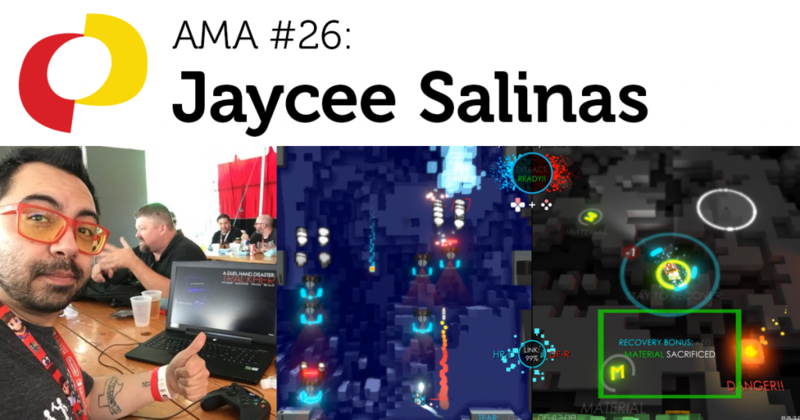 This is a recording of an “Ask Me Anything” (AMA) session with Jaycee Salinas, hosted by the IGDA Student SIG. If you’re interested in doing an AMA with students, you can sign up here.